Specialization: Shamanic Practitioner, Shamanic Counseling, Energetic Interference, Energy Medicine, Life Transitions, Personal Healing, Trauma, Addiction, Dysfunctional Patterns, Spiritual Growth, Self Empowerment. 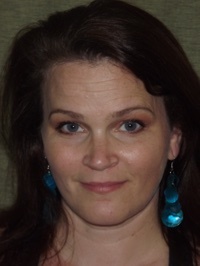 Shila Langley maintains a Depth Hypnosis and Shamanic Practice in the Sacramento area. Since she was a young child, Shila has loved nature and animals. As she grew older, she began to attune more strongly to nature and discovered she was naturally inclined to Shamanism. It was shortly after this that she sought out formal training in Shamanism and Depth Hypnosis at the Foundation of the Sacred Stream in Berkeley, CA. Through her extensive training, she has come to understand Depth Hypnosis as the most powerful tool for transformation that she has yet encountered. Depth Hypnosis allows people to understand themselves more deeply, facilitating opening and healing in unexpected and profound ways. She believes that we all have the answers we seek inside of us; we only need to know where to look. Her responsibility is to support this process of empowerment through self discovery with gentle guidance and compassion, creating a sacred space for each person to unfold in their own way.